Acorn Andy loves playing in bushes! He prefers the neatly trimmed ones though. He spends most of his days just busting nuts all over the place. Acorn Andy is the best nut buster of all time. 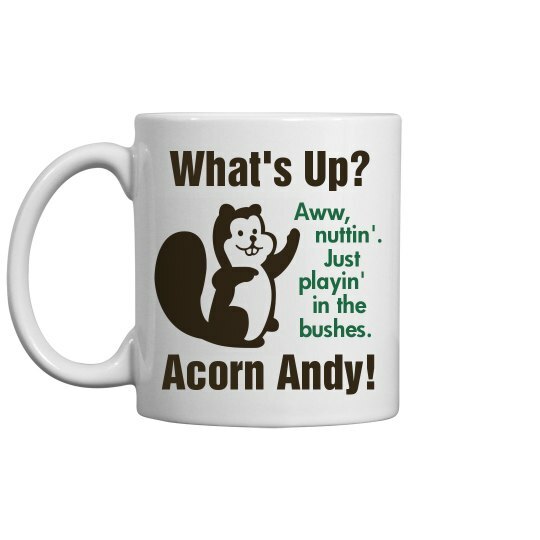 Custom Text: Acorn Andy! | What's Up? | Aww, | nuttin'. | Just | playin' | in the | bushes.